The yellow metal found itself on an incline as the greenback and bond yields retreated following soft US inflation data. 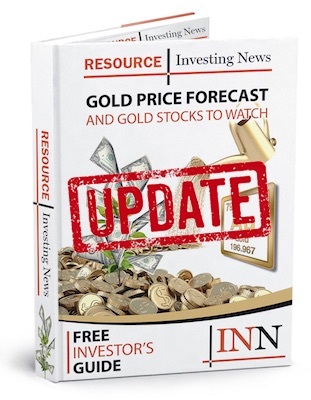 The gold price climbed on Friday (May 11), heading for its first weekly gain in four weeks. The yellow metal found itself on an incline as the greenback and bond yields retreated following soft US inflation data that indicated that the Federal Reserve may slow the pace of interest rate hikes. As of 10:45 a.m. EST on Friday, the precious metal sat at US$1,322 per ounce — up almost US$10 from the same time last week. In addition to the soft US inflation data, weaker-than-expected April consumer price data shook the dollar from its recent ongoing high and pushed US bond yields down, making gold cheaper for holders of other currencies. “[Gold’s rise] was mostly a response to the consumer price data out of the US yesterday,” said Capital Economics analyst Simona Gambarini. The report, which was released by the US Labor Department on Thursday (May 10), states that the US Consumer Price Index rose 0.2 percent in April following a decrease of 0.1 percent in March. While April experienced an increase, it was weaker than the 0.3-percent rise that consensus forecasts anticipated. The uptick is the yellow metal’s first significant increase in quite some time, despite geopolitical concerns. “Geopolitical concerns are still a concern but investors aren’t paying significant attention … the dollar story is more prominent,” said Naeem Aslam, chief markets analyst at Think Markets. News that a summit between the US and North Korea will be held in Singapore on June 12 also quelled fears of conflict. However, analysts agree that the current state of low interest rates and increased inflation should keep the yellow metal in the green for now. Much like gold, silver climbed and was supported by the dollar dipping on the back of rising inflation. The white metal rose above the important 100-day moving average, nearing its 200-day moving average, and was set for a weekly gain of 2 percent. He added, “this does further tilt the odds in favour of two more rate hikes this year rather than the three some Fed officials have been suggesting.” Historically, both inflation and Fed hikes have supported precious metals. As of 12:51 p.m. EST on Friday, silver was trading at US$16.69 an ounce. Rounding out the week in metals is copper, which was up for the week, trading at US$3.12 per pound as of 1:20 p.m. EST. Meanwhile, oil slipped on Friday but remained near the three-and-a-half-year highs it made earlier in the week on the back of the US pulling out of the Iran nuclear deal. According to Reuters, the prospect of new US sanctions on Iran has tightened the outlook for Middle Eastern supply at a time when global crude production is only just keeping pace with rising demand. “We think at least 250,000 to 350,000 barrels of Iranian crude (a day) could be at risk of disruption if sanctions are brought back into place,” said Ehsan Khoman, a strategist at financial group MUFG. Despite the energy resource’s dip on Friday morning, chances that traders will “shore up” their positions and prices will strengthen before the markets close are good. “It’s definitely not an environment to go home short over the weekend,” said John Kilduff, partner at Again Capital in New York. As of 1:34 p.m. EST on Friday, oil was sitting at $71.07 per barrel.